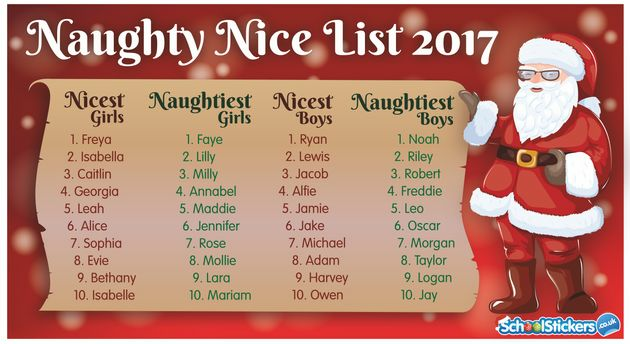 Children names Freya and Ryan are most likely to be at the top of Santa’s“nice” list this Christmas. The tongue-in-cheek lists, compiled by School Stickers, were pulled together by analysing the names of 52,000 children who were awarded the most and least reward stickers throughout the year at . 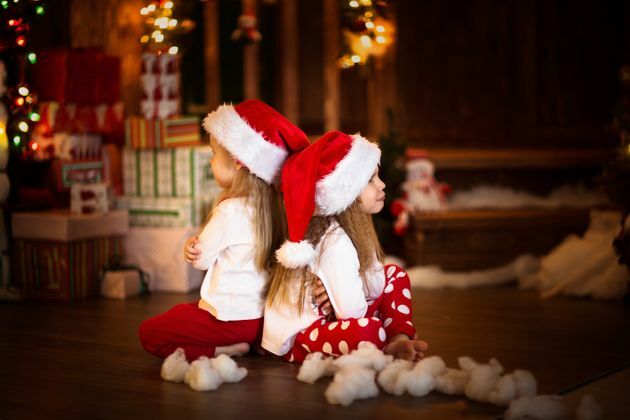 “Our annual ‘Santa’s naughty and nice list’ is just a bit of Christmas fun and not to be taken seriously,” said Neil Hodges, managing director, School Stickers. The annual study revealed that boys called Ryan, Lewis, Jacob, Alfie and Jamie are the most likely to receive School Stickers’ rewards for good behaviour in the classroom, but boys called Noah, Riley, Robert, Freddie and Leo, received the least number of rewards. Mums and dads are more likely to have an easier time if they have a daughter called Freya, Isabella, Caitlin, Georgia or Leah. But if their little girl is named Faye, Lilly, Milly, Annabel or Maddie, they could have trouble on their hands. Hodges added: “We issue the list every year as many people find it amusing and like to see whether their name is on there. If you want to have a bit of a laugh with your kids, have a look at the lists below. Whether you’re looking for a name that is ‘cool’, ‘cute’, ‘pretty’, or ‘unique’, our is here to inspire you. Discover the meaning of your favourite name, browse the 100 most popular baby girl names and baby boy names in England and Wales, or let our Random Name Generator throw up an unusual suggestion.